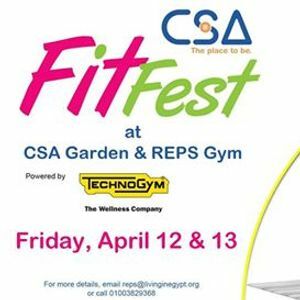 Join us in the second CSA Fit Fest on Friday, April 12 & 13 - Powered by Technogym. 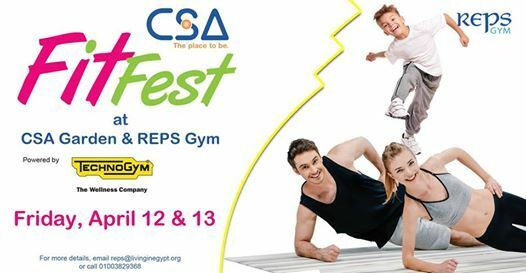 The festival is open to everyone and will be celebrating and promoting an active lifestyle and healthy living. Do you have a business or run a fitness or healthy living-related activity? Don't hesitate to contact us at Zml0ZmVzdCB8IGxpdmluZ2luZWd5cHQgISBvcmc= or by calling 01068828541 or 01003829368 for more details about event participation and sponsorship.